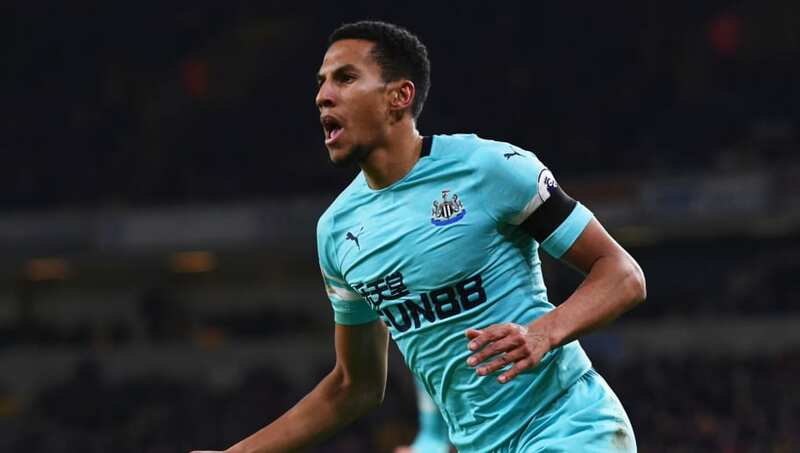 ​Newcastle United midfielder Isaac Hayden appears to have confirmed that he will leave St James' Park this summer after being unable to secure a move away in the January transfer window. The 24-year-old has established himself in coach Rafa Benitez's first-team plans this season, making 19 appearances in the league so far. However, he handed in a transfer request over the winter, citing his desire to be closer to his daughter and her mother in South Wales. Despite pushing hard, his attempts were blocked by the club, the midfielder since managing to reintegrate himself into the squad. Though he was unable to get the move he so desperately wanted three months ago, Hayden has continued to perform well and give his all for the ​Magpies. He scored during their 1-1 draw with ​Wolverhampton Wanderers in February, while he's also grabbed three assists since the turn of the year. However, he remains set on departing Newcastle and utilised the club's match-day programme for their ​Premier League fixture with ​Crystal Palace to clear up any confusion regarding his current position. In a statement, he wrote (as quoted by ​The Chronicle): "I think I’ve made very clear to the club’s hierarchy, and the fans, I’ve got my side of the story out, I’ve made it pretty clear how things go. "I don’t think there will be too many questions. I don’t think the summer is going to be an issue, it’s pretty well documented how I feel." It seems that despite continuing to feature regularly under Benitez and his impressive form for the side, Hayden is firmly committed to leaving the Toon. Though it is unclear where the ​Arsenal academy product will end up, the personal reasons he offered suggest his destination is likely to be in one of the midlands, the London area or the south west.